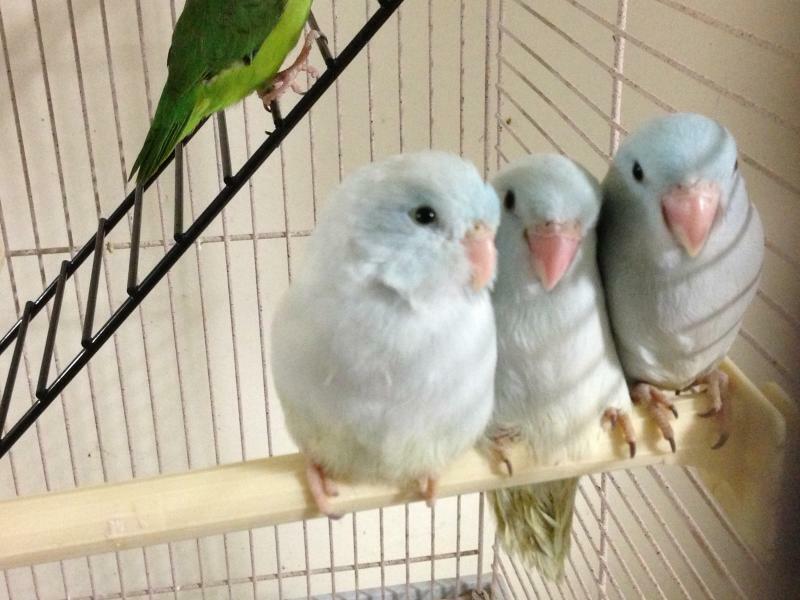 The Parrotlet is the smallest parrots in the world; also referred to as pocket parrots. 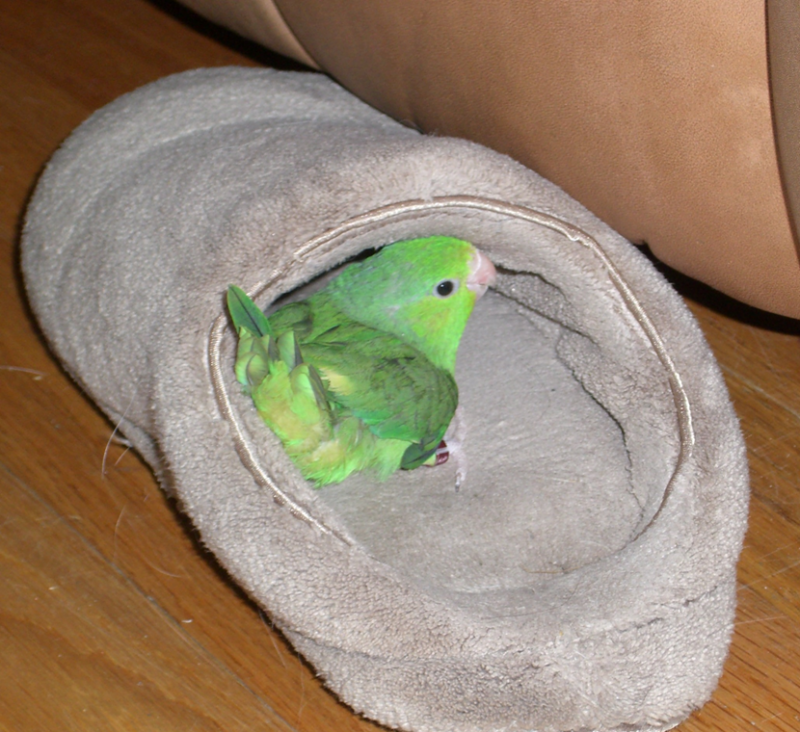 I love the pieds! 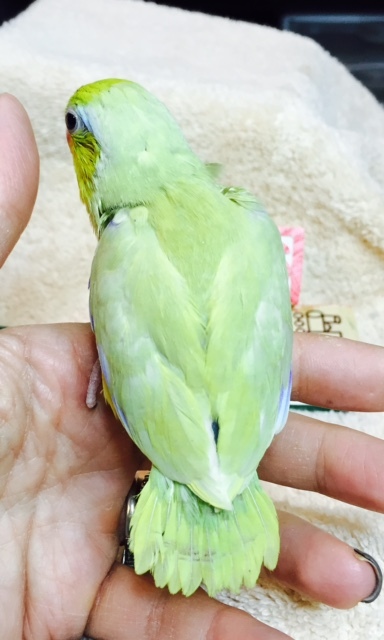 But I do offer turquoise, blues, yellow, pastel and sometimes green, but most will be split pied. 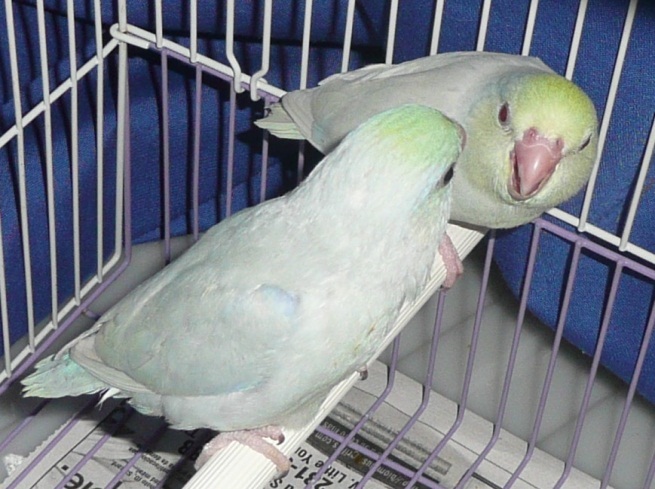 I handfeed my parrotlets because it makes them wonderful pets. 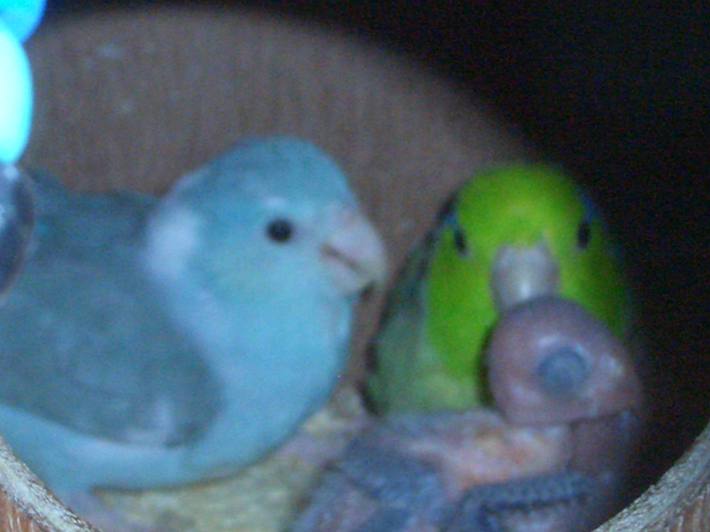 I also believe that many of my handfed breeders are wonderful parents because they don't mind so much when I check the nest box or clean the cage They are unafraid. 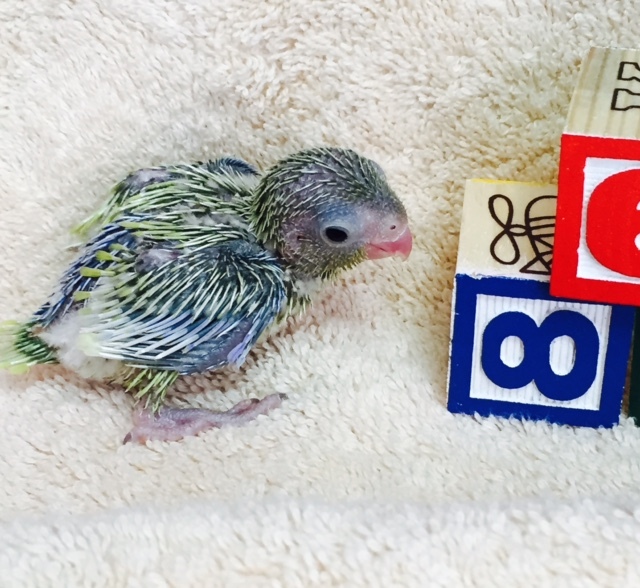 a parrotlet can NEVER have too many toys! 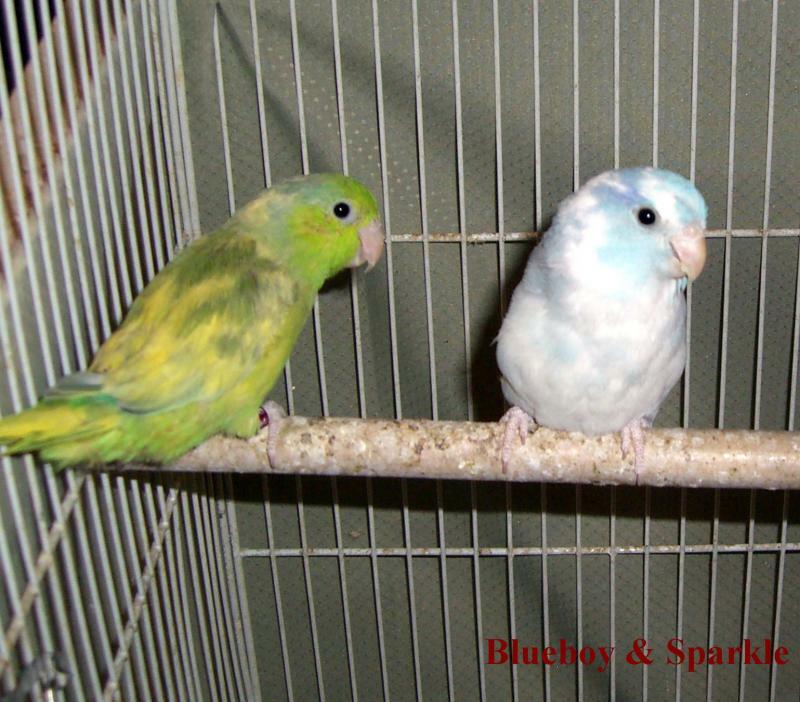 I find the parrotlets are great Toy Testers here in my aviary. 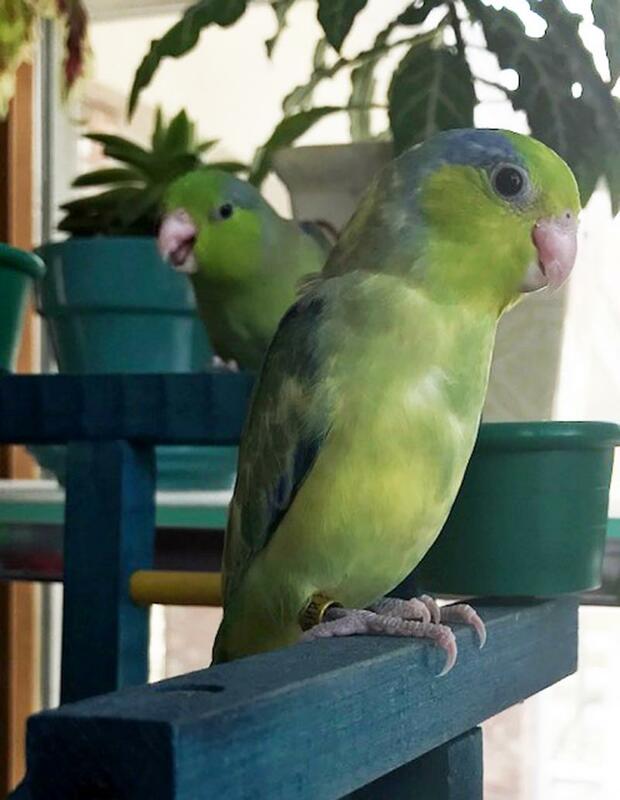 I feed my parrotlets my own mix which includes seeds, pellets, dried veggies, safflower, oats n groats, sunflower, millet and herb salad﻿. All my birds eat kale, broccolli, parsley, carrots, apples and more. 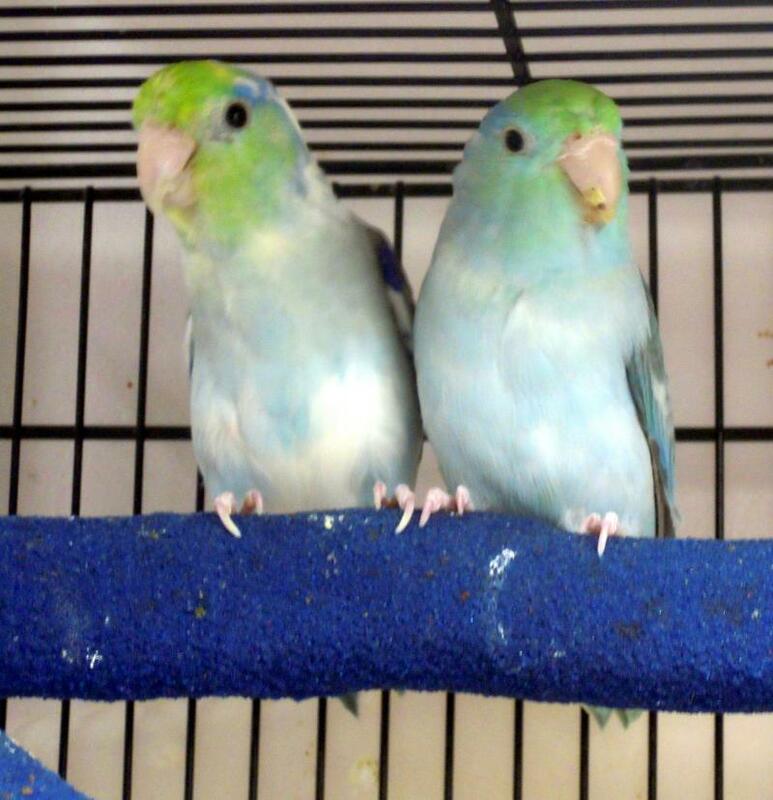 ﻿Above are the first heavy pied parrotlets I bred in 2005. I use this photo in many of my ads! 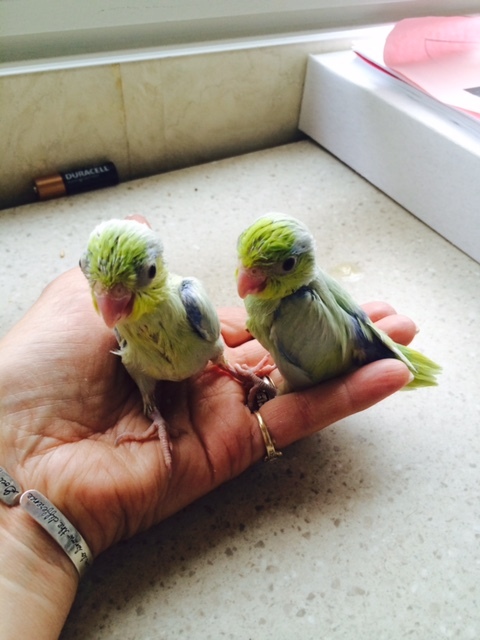 Chopmist Hill Aviary offers handfed babies, breeder prospects and proven breeder pairs.. 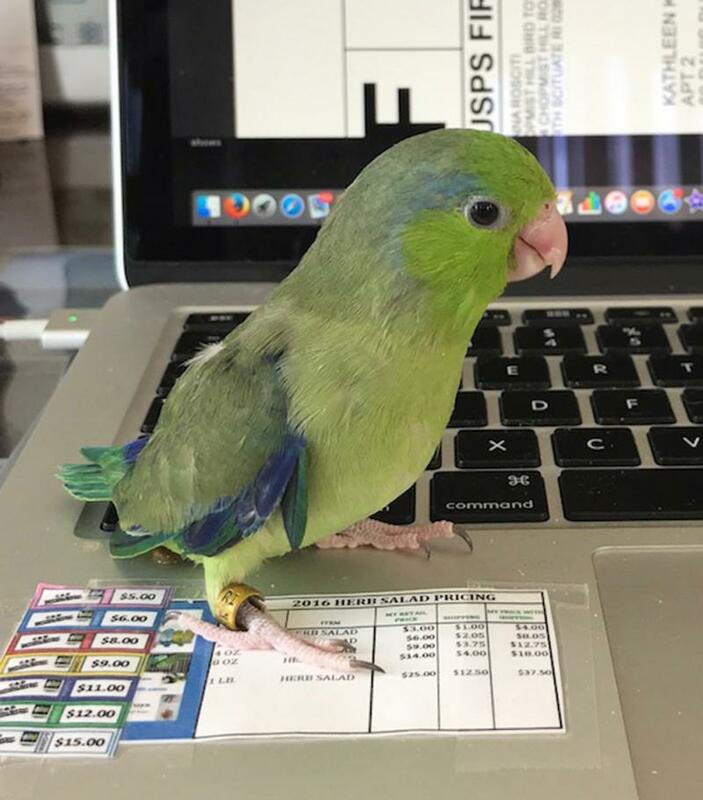 This little green Parrotlet "Lima Bean" was the star in my book "Lima Bean's Discovery"